I know most of you see me in skirts, dresses and pumps (girly and classy pieces) all the time. But believe me, there are days when I feel so lazy to dress up and I just pull out and style the basics that I have in my closet - same as this outfit that you're about to see in today's post. I wore this to a condo hangout and dinner date with Jean and Joy (my high school girl friends) yesterday. 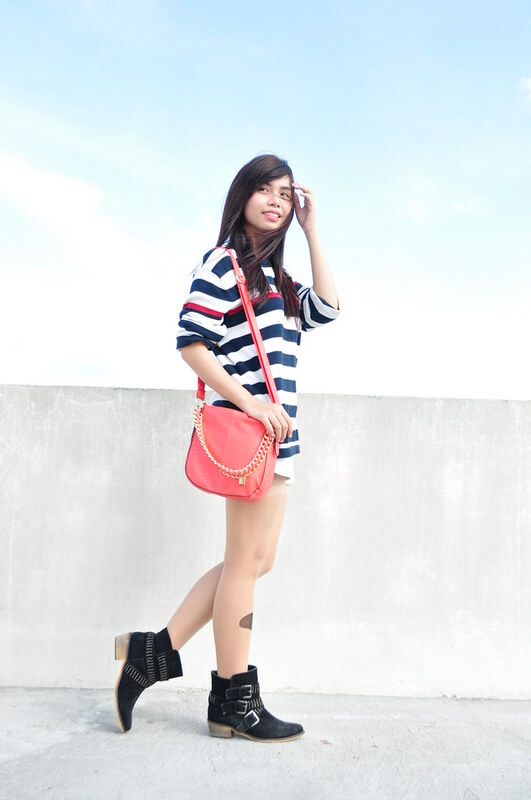 For me, chill moments don't require sky-high heels and too much accessories. Tawang-tawa?? Haha! I'm really this cray behind those serious-looking photos. ANYWAY!!! The clouds abruptly decided to show up in the middle of our shoot. Meh! This pair is actually Jean's (thank you so much dearyyy), and right after wearing it, I suddenly felt the urge to start collecting boots. Go? Thesis is seriously stressing me out! #randomrant :'( Hope the week's treating you good so far! @Jean, thank you deary for the boots!!! 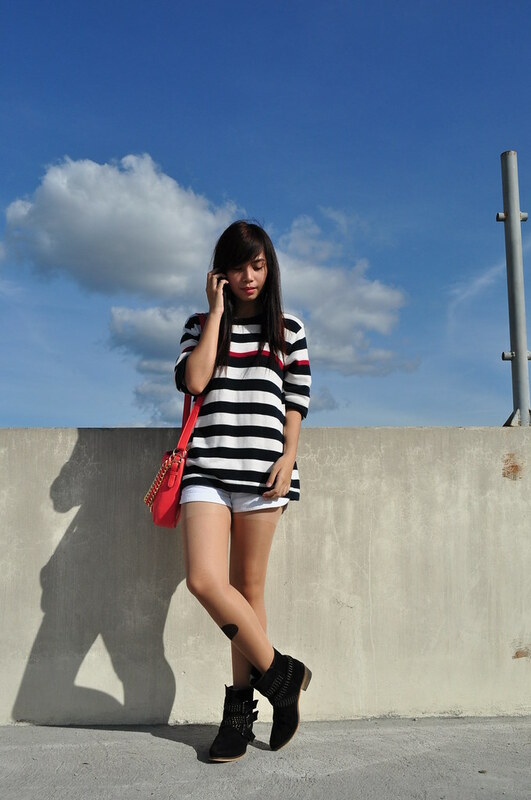 ♥ You made me love boots tuloy. Haha go na! @Denise, yes!! :) Haha that's your style sis! Miss you too! I love the chill vibes of the shorts and sweater. Plus the super cute heart stockings. 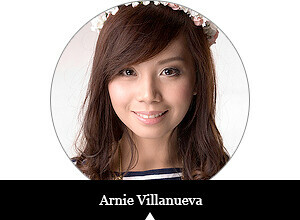 Parang Queen of Hearts ng Alice in Wonderland ang peg!Always pretty Arnie! :D God bless! @Dys, aww thank you!! Sobrang chill I felt like I was in PJ's the entire day. Haha! 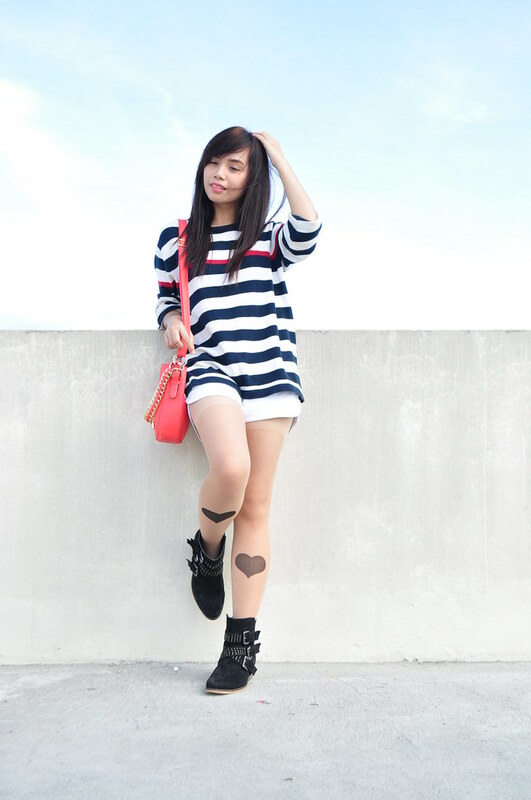 And thanks din for appreciating the heart stockings ♥ Kyottt!! super cute tights!! love the boots too, babe! @Chyrel, haha thank you so much for always appreciating!! :"> Means a lot! @Ohms, haha my little cousin tweaked my banner lang last December! :p Cute! Haha thanks dear! @Ava, hihi thank you love!! >:D< YAY!